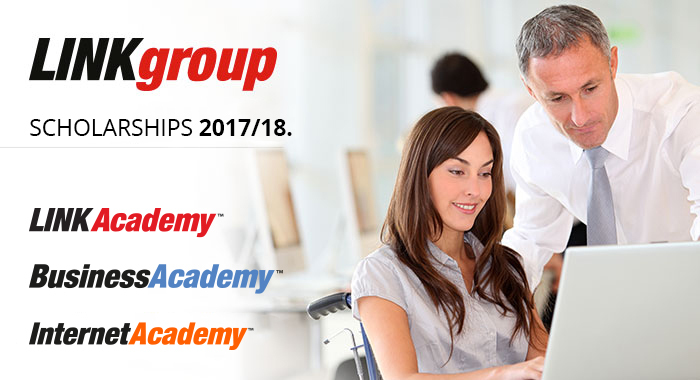 LINK group has become an official exam center for taking Cambridge English examinations and acquiring prestigious certificates in the field. Through our fruitful cooperation with Cambridge English Language Assessment, we have joined the few open-type exam centers in the region that are authorized to administer exams and preparation courses for candidates learning or teaching English. Creativity, innovation and affirmation of absolute values. Exchanging ideas, creative content, as well as encouraging entrepreneurship among young people... These are the shared values that have connected LINK group and the Mikser creative collective on the way to launching the Mikser House project in Sarajevo – a new regional cultural and educational center that will gather artists, creative and young people thirsty for new knowledge, and audiences from the region and from all over the world. 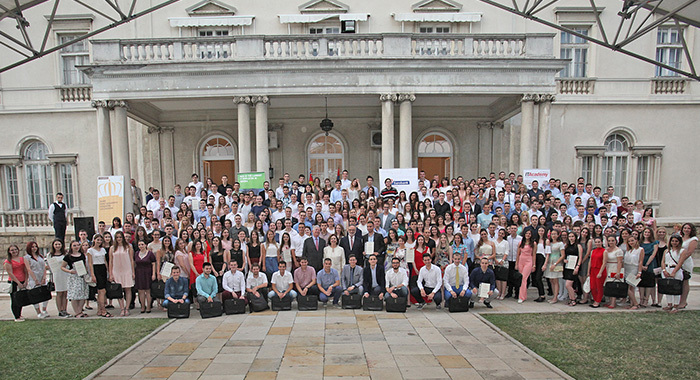 At the official reception for the best students of 2016/2017, held at the White Palace, LINK group, a partner of the HRH Crown Prince Alexander Foundation, announced great news with regard to the awarding of 20 one-year scholarships for ITAcademy. The scholarships are solely intended for the students who were selected as the best students of their generation in 2016/17. Students of the First Technical School in Kragujevac have designed an excellent method for their peers to learn how to facilitate and speed up their learning process. A great student initiative like this one had to be rewarded. 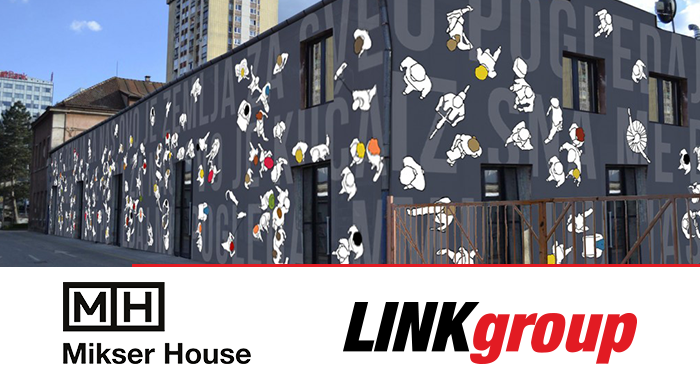 This is why LINK group, in cooperation with the School of intellectual skills, has provided free training for 30 students who will coach their schoolmates. 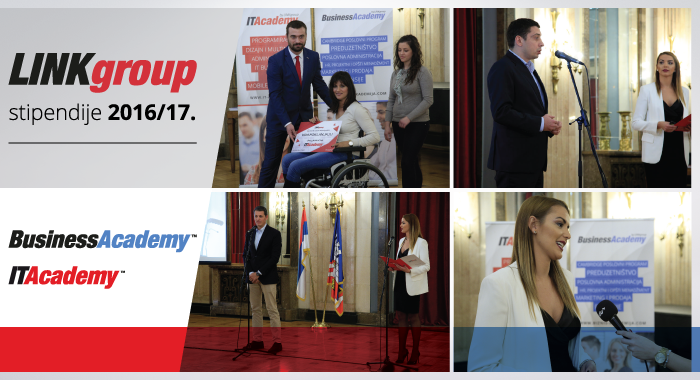 At a ceremony held on Tuesday, November 22 at the City Assembly, representatives from LINK group awarded scholarships to disabled students who will enroll, free of charge, at ITAcademy and BusinessAcademy in 2016/2017. 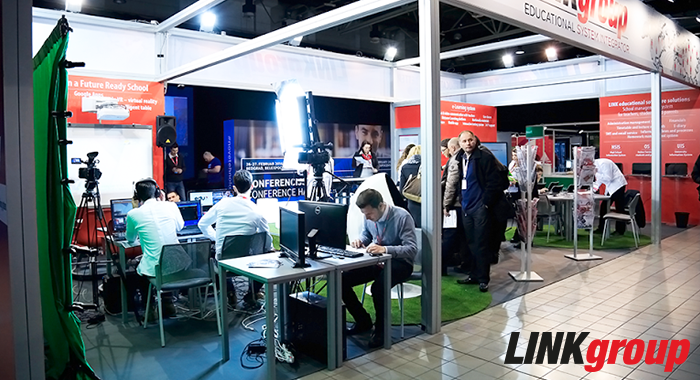 LINK group participated at the biggest regional conference and fair dedicated to the use of information and communication technology (ICT) in education – New Technologies in Education. 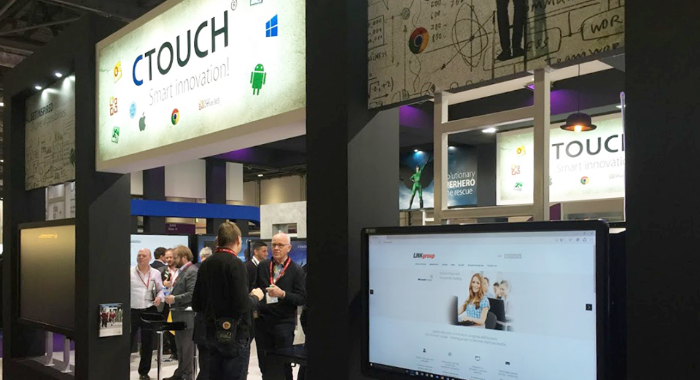 LINK group participated at the world’s biggest fair showcasing information technology in education – Bett Show 2016, which was held in London, January 20 through 23.